The MakerBot 2X has a glue like component that is part of the extruder and works poorly with the bioplastic filament. The biggest problem is after the "RIFT" and the setting of the first 5 mins of printing, the bioplastic warps (shifts out of place/ moves on the plate). Heating temperature recommended by Biome was 180C. 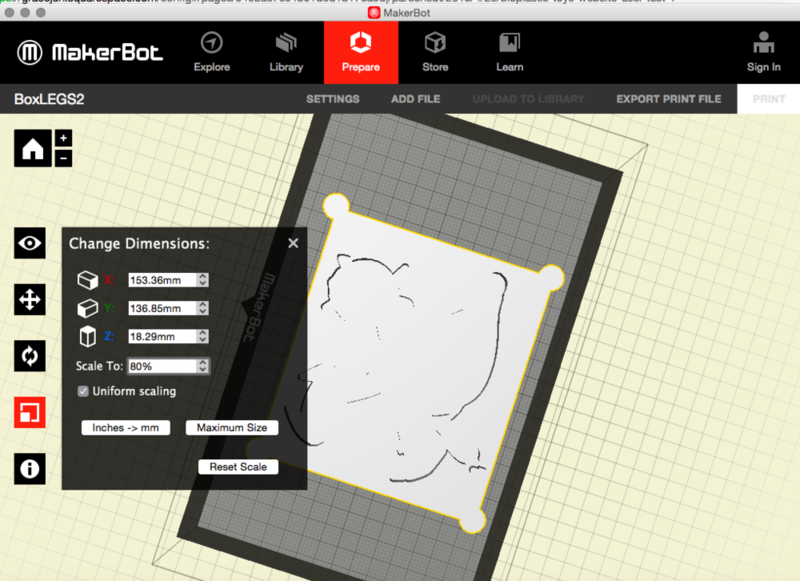 The settings on MakerBot for bioplastic printing on full scale (before it warped): Speed was cut in half from default settings of 90 mm/s and 150 mm/s = 45 mm/s & Right Extruder= RIFT, Temperature 230.